Nikki Ferrell, with best friend Andi Dorfman and her fiancé Josh Murray, opened up about her recent split from Juan Pablo Galavis. Photo courtesy of Nikki Ferrell's Instagram. 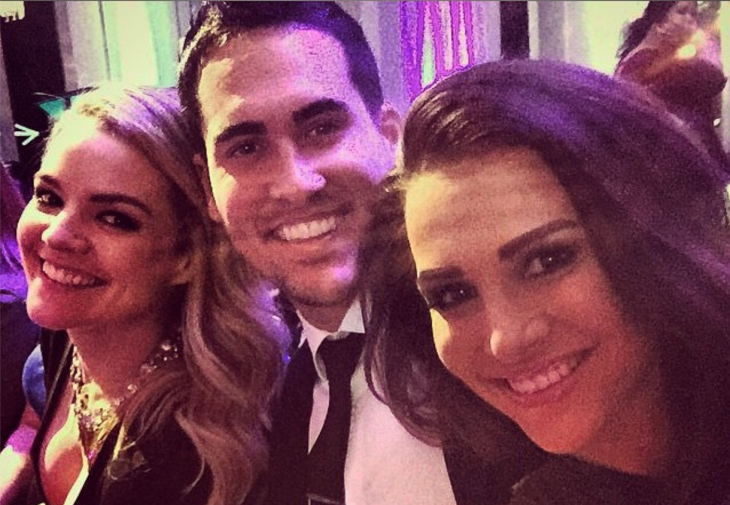 Not everyone speaks so highly of their celebrity ex like ‘The Bachelor’ winner Nikki Ferrell. What are some factors to consider when someone asks you about your ex? 2. Keep private details to yourself: If you find yourself saying too much when family or friends inquire about your recent heartbreak, start a journal. Writing down your emotions is a great way to share your feelings but still keep them private. That way, you’ll be more in control of your thoughts when your loved ones want to know what happened! Related Link: Did ‘Bachelor’ Winner Nikki Ferrel Reveal She Has a New Man? 3. Change the subject: If you’re worried that you won’t be able to stop talking about your former partner once you get going, just bring up a new topic! Politely say that you’d rather not talk about it and then ask about their holidays or if they’ve been watching the most recent season of The Bachelor. Easy! How do you respond when someone asks you about your breakup? Tell us in the comments below!